Gold Channel Partner walks away with six awards at annual partner summit. We drive unique value and relevance to our Clients and Cisco by relentlessly investing in our solution offerings, our people, processes and technology. Nexus, a leading national provider of end-to-end technology solutions for public and private organizations, announced today that it is the recipient of Cisco® Partner Summit Geographical Region awards. Nexus received national and theatre awards for U.S./Canada West Area Partner of the Year, U.S.National Services Partner of the Year, U.S. Cisco Capital Partner of the Year, Cisco U.S./Canada West Area Enterprise Partner of the Year, U.S. Public Sector Partner of the Year Architectural Excellence – Borderless Networks, and U.S. South Area Partner of the Year - Architectural Excellence – Borderless Networks. Cisco revealed the winners during its annual partner conference taking place last week in Las Vegas. 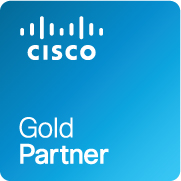 Awarded to exemplary channel partners, the Cisco Partner Summit Geographical Region awards are designed to recognize best-in-class business practices and serve as a model to the industry within their respective regions. Areas of consideration include innovative practices, application successes, unique programs, problem solving and sales approaches. “It is truly an honor to receive recognition for the differentiated value Nexus provides to Cisco and our Clients across our geographies, segments, verticals and architectural areas of focus,” said Waheed Choudhry, President and COO at Nexus. “We drive unique value and relevance to our Clients and Cisco by relentlessly investing in our solution offerings, our people, processes and technology. These awards are a testament to the success of those investments. Based in Valencia, CA, Nexus leverages its extensive experience and expertise to enable organizations to Connect, Collaborate, and Create. We do this by providing expertise in end-to-end technology solutions based on eight distinct connected solutions: Collaboration, Enterprise Networking, Security, Mobility, Data Center, Cloud, Consulting Services, and Managed Services. Nexus partners with industry leaders including Cisco, EMC, VMware, Citrix, NetApp, Apple and Microsoft to ensure its customers are provided the most comprehensive and competitive solutions. Nexus serves the private sector, from small business to the Fortune 500; and the public sector including local, state, and federal government. Additionally, Nexus has highly specialized vertical market practices including education, retail, hospitality and healthcare. For additional information, please visit http://www.nexusis.com.